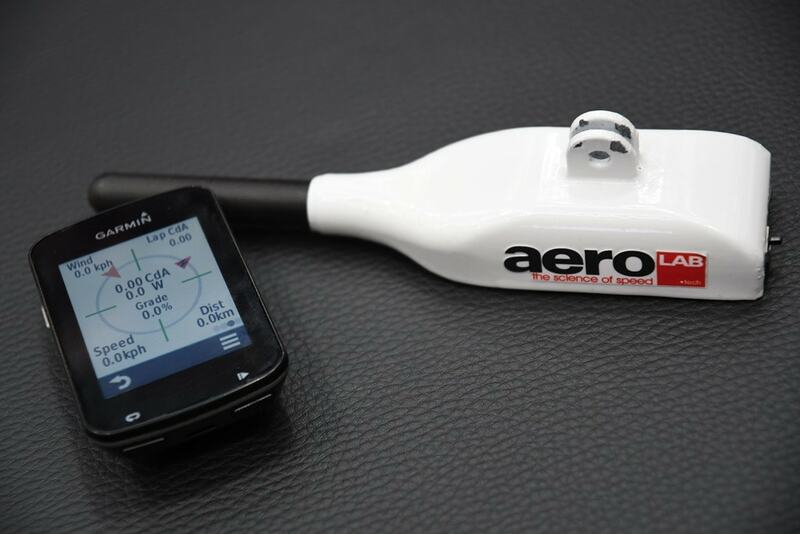 Eurobike Aero Roundup: Notio, AeroLab, AeroPod, Swiss Side and other tidbits! 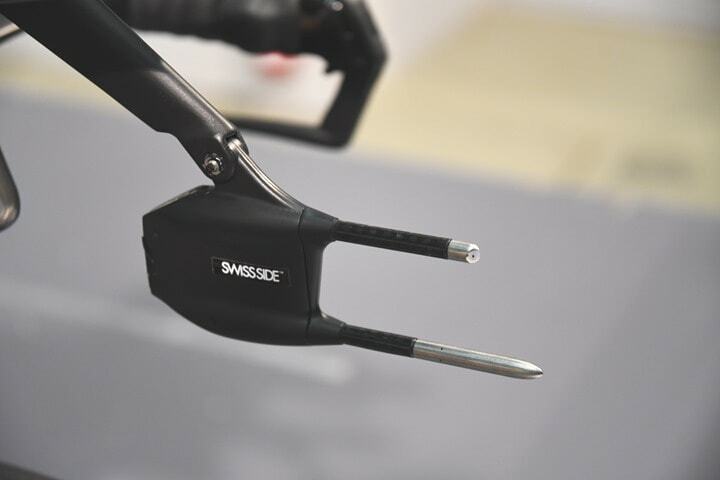 Each year the number of companies at Eurobike focused on aerodynamic offerings continues to expand, though, as of the end of the show none of them had shipped a product to any paying consumers. But in the two weeks that have elapsed since the show, and in the weeks ahead – that’s already changing. Some of the not-in-this-post ones were at Eurobike. Well, actually, I think all of them were at Eurobike, but only some of them were talking openly about where they stand. So I’ll focus on those. But for this post I’ll be focusing on the ones I had time to catch-up with. Remember, the main goal of virtually all these devices is on-bike aerodynamic information. It’s primarily targeted at triathletes (those on time-trial bikes), and less so at this stage for roadies. The technology certainly works on road bikes of course, but the primary market at this point and time for most of these companies is the time trial/triathlete crowd. The goal for all of these devices is to be able to capture and transmit aerodynamic data to a screen on your handlebars. In almost all cases today, that’s a Garmin screen, because none of the other companies have implemented anything yet (they could, they just haven’t). Typically this information includes at a minimum CdA (which is basically a metric of how aero you are), often also wind speed and wind direction, and then from there each one tends to offer slightly different metrics. In some cases some companies may instead offer non-CdA feedback values at lower price points that are basically along the lines of ‘That made things better, that made things worse, etc…). The idea here being that athletes get their position and such fitted in the offseason/early-season, but it may not be super-aero by the time they get to race day or 5 hours into a training session. So this way you can monitor your aero-ness throughout the entire event (race or training). Wind tunnel or track sessions are incredibly valuable to help establish a baseline, but helping maintain that baseline is equally (if not more) important. If you go to a track or wind tunnel, and then three months later race…if those positions don’t match precisely (down to the shoulder shrug), then that money was likely wasted. Again, this aims to remedy that. I tend to see these as complementary technologies/efforts. In any case, let’s dive into the plans of each one. Since I covered the tech basics above, I’m going to focus primarily on the core details of their delivery plans and differences, rather than re-hashing what the tech is in every section. Got it? Good. Also, I’m ordering them based on delivery date/time. Ok, now it’s time to start for real. Notio is the one and only product to actively be shipping at this point. The company started their road-show series on July 15th in Montreal, and then heads to Toronto this weekend. Their plan is to deliver 500 units within the confines of the roadshow. The roadshow is essentially a 3-4 hour seminar where you get the unit, a mini-course on how to use it, and some road-testing. It’s a brilliant way of rolling out their product because it gets them direct feedback on the 18 million ways real-world people will screw it up. I say that in the nicest possible way, but that’s the reality of any totally new product type in the market. People will do crazy things with your product, and more importantly, you’ll realize all the ways you didn’t account for it. But being there with the people though they’ve got a vested interest in it, and the people, on the other hand, meet the actual engineers behind the project (and thus are less likely to go full-rampage online when things go wrong). Again, absolutely brilliant marketing and engineering. The price is the same as when you’ll buy the product down the road ($950USD), but with this you get a half-day course with it now. Also, you’ll get a free t-shirt too. It’s unclear if said t-shirt is aero or not. 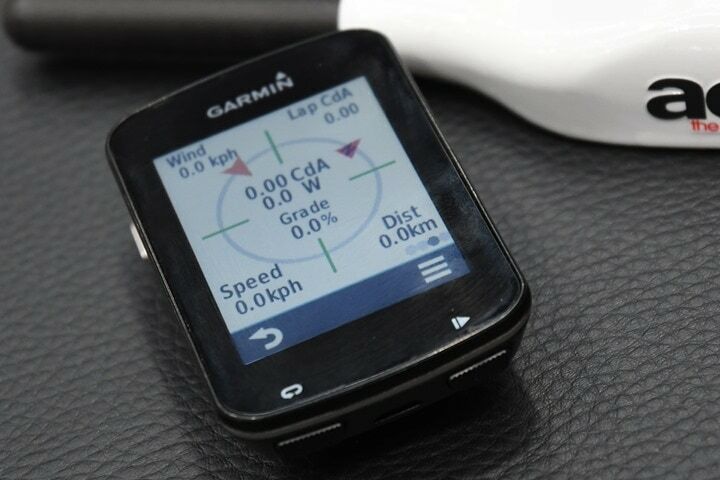 In any event, the product is as I described in the main section above, and connects to Garmin Edge apps for real-time data. It also downloads via their smartphone app afterwards for full-resolution data and then syncs that to their cloud service. At this point I’d say their entire ecosystem/platform is the most complete out of everyone here, but that makes sense given it’s the only one actively shipping. Note that down the road Notio plans to offer other price versions, but those aren’t part of this rollout. Finally, on the roadshow front, as of last night they’re planning on announcing next week the exact date for a Copenhagen roadshow (likely tied to Ironman Copenhagen for August), and a UK event for September. They’re also looking to probably shift from weekend roadshow events to more week-night events, which from their feedback has been the preference for most people. Typical group size is 10-12 people. And somewhere in the mix I’ll be visiting with them (or them with me) so that I can get a unit and the course everyone else is getting. Looking forward to it! Next up we’ve got Velocomp’s AeroPod. I tested an early pre-production model of this back in April, and at this year’s Eurobike show they had snagged a Eurobike award to boot. As I noted in my Eurobike award winners video, I actually agree with this year’s award winners. I think Eurobike finally got it right (at least for sports tech products). Real products that can actually be tried out in real life, and many are already shipping. In the case of AeroPod, the unit they had on the show floor was their final production version – and did indeed actually have complete electronics inside (versus the final model I saw at Sea Otter didn’t). The company says they’re on track to start shipping next month (August) to their customers, presumably the crowd-funded ones first, and then their regular non-crowd-funded orders. Like everyone else, they too have a Connect IQ app, which I already showed in the video above in real-life out on the road. Velocomp, of course, has a huge desktop suite with tons of analytics (and are working on a mobile app), though I think it’s largely a bit cumbersome compared to what I saw with Notio. On the flip-side, nobody in the industry has anywhere near the level of experience with on-road aero sensors that Velocomp does. They’ve got a decade’s worth of time in this game, which is incredibly critical when it comes to understanding nuances and getting rid of errors. Either way – I’m definitely looking forward to getting out on the road with it next month, putting a review hopefully into the September timeframe. Next up, another set of Canadian friends – and another product I’ve tested early prototypes of. 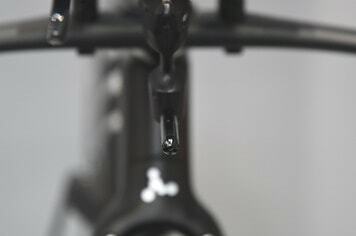 While they’ve been using their sensor out in the wild for a considerable length of time, much of their immediate focus is on the coaching and bike manufacturing angle. Consumers are without question their end-goal, but it sounds like working with bike brands is also working out in the meantime. C) An engineering version aimed at bike/component companies that has a higher sampling rate. The engineering one updates at 200 times a second and contains GPS components sampling at 10-times a second and with a barometric altimeter resolution of 9.5cm. With this variant AeroLab actually leases it in a subscription type model to other bike industry companies and then treats it as evergreen, meaning that the company renting it always gets the latest version (hardware/software) automatically. The engineering units are already underway and with others out there, whereas the coaching/consumer ones are targeted towards next spring. 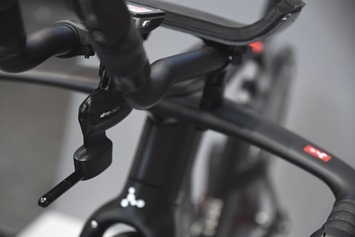 You’ll also notice the small display option they have as well, which allows them to download the engineering data at higher rates than Garmin’s Connect IQ supports. This is in fact a really good example of the limitations of something like Connect IQ as a platform, due to the 1-second refresh rate. 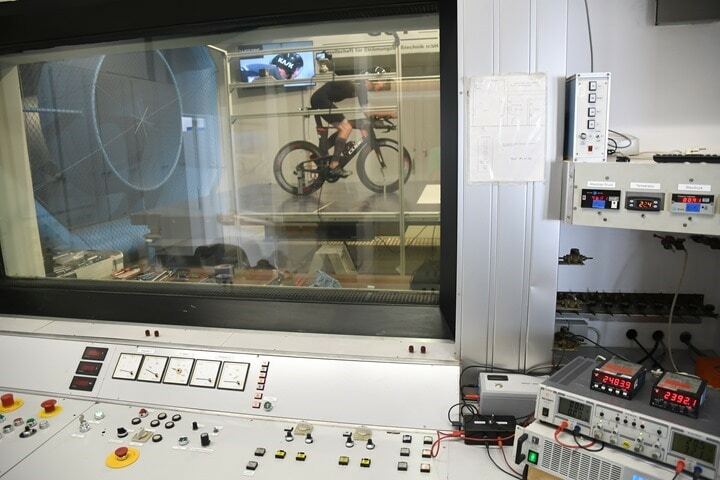 It’s unlikely to impact regular riders out on the road (because most of your aero calculations you want smoothed over 15 to 30+ second periods anyways to get useful data), but for companies doing engineering tests, having higher frequency data can be useful. I would say that out of all of the companies in this post, AeroLab is the one that’s released the most data on their unit with the most white papers around it. Their tech blog has plenty of interesting tidbits to read. Finally, there’s Swiss Side. 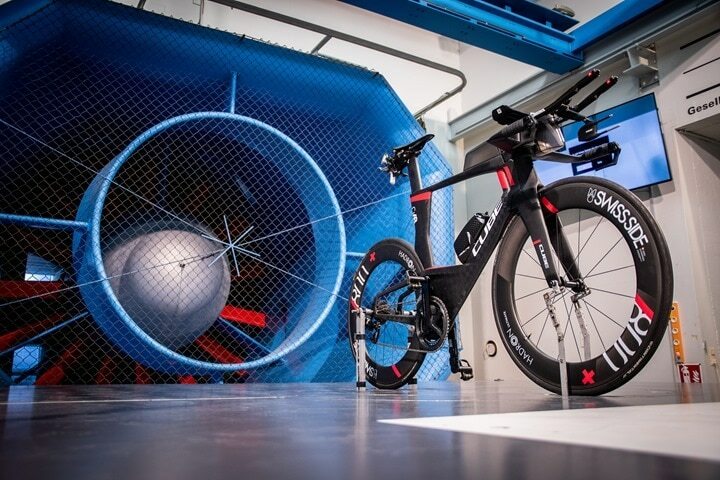 The company’s main business focus to date has been around their aero wheelsets, and as part of that working with a long list of pro triathletes in the wind tunnel I visited above with respect to aero gear and position choices. The goal of the company going forward however is “to make the most accurate on-bike aerodynamic device”, in their own words. The bulk of the engineering side of the company comes from a background in Formula 1. That means they either know a lot about aero, or a lot about moving shipping containers (seriously, that video is nuts if you haven’t seen it). Or perhaps both. You’ll notice right away it’s got a dual pitot tube design, which I walk through the details of in the above video about how they use each portion to get more data out of it. Their goal is to ship no later than Spring 2019 to consumers, but may make it out sooner. The final pricing is still TBD, but they’re hoping to get it down to about $800USD, but certainly no higher than $1,000USD. That’s where some of the higher-priced solutions are starting (like Notio and AeroLab), but I wouldn’t mistake that for meaning it’s any more accurate than AeroPod which is half the price. Simply put: Nobody knows yet. As noted above, AeroPod has way more experience, which may help them drive prices lower since they’re not spending as much R&D cost on it to have to recoup. Also, Notio themselves has also noted they plan to likely be closer to $500-$800 (and perhaps even cheaper) for some variants down the road. Still, I’m all for seeing as many competitors in this space as possible – and certainly looking forward to seeing them tested against known-good aero systems already (i.e. tunnels and tracks). Though I suspect just like comparing power meters to trainers, there will be nuances of such comparison testing that will be interesting to ferret out over time. Of course, I couldn’t hit up all companies – and some companies aren’t quite ready to chat about their wares yet. For most of these companies, it’s actually not the hardware directly that’s their biggest cause for concern. Instead, it’s how to make sense of the data, and make said data actionable. Those familiar with aero testing know what changes to try in the pursuit of aero, but those not familiar with such testing (which is 98% of the market here), doesn’t intuitively know to move their hands 1cm up or down, or twisted inwards. Or to shrug their shoulders. Or to try a different hand position altogether. Instead, most people will likely focus (often incorrectly) on pure hardware changes that while certainly time-saving, aren’t likely as budget-friendly (or even as effective). So how to have these platforms give you real-time guidance is a key part of that. As is ensuring that people can manage all the data they gather. If you look at a typical iron-distance athlete, one spends a tremendous amount of time on long solo rides (often 5-7 hours per week on a single ride). How do you track what things you tried on that ride versus one three months later? Again, these are all mostly software problems to solve. Finally – there’s the issue of standards. Virtually every device here is transmitting in two manners. The first is via ANT+, almost all to Garmin devices. And the second is via Bluetooth Smart, primarily for downloading data afterwards to your phone. However, while the data is similar, it’s not standardized. There’s actually already an ANT+ Technical Working Group (TWG) for aerodynamic sensors underway, but astoundingly only a couple of companies are participating. Given it’s a virtual guarantee that said standard will be adopted by Garmin (since they are on said TWG and are making something from the Alphamantis acquisition), it would be product-limiting to at least not sit in on those meetings (heck, you can then at least find out what others are doing). 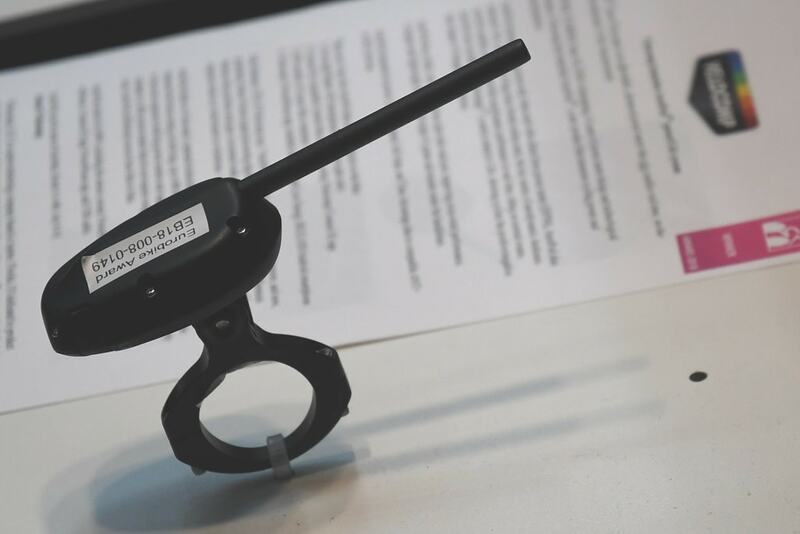 Remember: The goal of such a standard is so that you can pair an aero sensor the same way you pair a power meter or heart rate strap: It just works. You can still do fancy stuff beyond the standard (as many companies do), but adhering to a baseline ensures compatibility across numerous devices and app platforms. It makes it easy for entities like TrainingPeaks and Golden Cheetah to support. The standard will happen, and will happen likely well before it gets cold out. Which is my way of saying: Get on board, or you lose your right to complain later. All that said – I’m super excited about what the next 3-12 months bring. By the end of summer I should be testing both the Notio Konect and AeroPod final products, as well as potentially looking at a few others not too far off. Whether or not these products hit the spot in terms of accuracy, reliability, and usability remains to be seen. Very cool stuff. Yep, buy a new tribike. . .and a wind tunnel? I assume you’ve started to think about a testing protocol for these things. I’d be curious what you’re planning. Can you put more than one of these on your bike at the same time (if they all go in the same location)? If not, can you really compare them against each other without seeing how their data differs under the same conditions? And without a wind tunnel to provide a baseline, how can you tell whether these sensors are accurate, not just against each other, but in any objective sense? Ray actually has a windtunnel right around the corner where he lives…. the NLR (Dutch Aerospace Centre) is somewhere between his home and his cave (at the Anthony Fokker street). Yeah, I’ve already started some planning with various facilities that I can use as comparative data points. As I said above I think there’s going to be a bit of a learning curve for everyone on how to best validate/compare these devices. But track systems and wind tunnels are a good start. I had looked at some space in that Aerospace center, but everything kept getting sold out. Pedaled down that very street today oddly enough, though do indeed usually pass close by a few times a day to/from the Cave. Plands to offer what? The suspense is killing me. I think comparing them against the STAC solution will be fascinating, but I see the STAC solution more akin to a one-tome event like a wind tunnel or track test, than an on-road constant thing. Question – when you say “X has a Connect IQ app” do you mean a Connect IQ app (a la Stryd original solution which was PITA) or do you mean a Connect IQ Data Field which integrates into your standard Garmin bike activity field? If I recall, this acquisition was about a year ago and am surprised that no info has been hinted to. Any further insights you have? See link above. Indeed, it would be amazing to have such a system tied together. Integrate aerodynamics and biomechanics. Anyone notice Toronto only has one person so far? The core data that everyone is doing is part of the spec, but if folks want other semi-unique things (and most have overlap here anyway). The thing here is that basically this is like the power meter bits all over again, except this time Garmin is doing stuff as part of the TWG, as opposed to being in private. My point here is more simplistic though: In my view companies lose the right to whine and complain later on that they don’t get equal access on the spec…if they don’t at least participate in the creation. As of Eurobike only three companies were working in the TWG. Why not the other five? They’ve got nothing to lose. These data metrics aren’t really secret. And even if they want to do something secret, they can still do that via private-ANT (just like power companies do, though as has been overwhelmingly proven, nobody cares about private-ANT power meter specs). Hey DCR! How do you see the future of integration of these aero units into the existing ‘head units’? For now everyone is focussed around integrating into Garmin software with new aero and training software but do you think it will also expand to other known brands (like Wahoo for example)? Totally up to these companies. Wahoo has mentioned interest in the past, but I’ve heard zero discussion about it since April. Assuming the Aero TWG goes forward to fruition (not really an assumption, it’s going to happen, just a question of who’s on board that train and when it arrives at the station), then any head unit manuf could implement it. Be it Wahoo, Garmin, Stages, Sigma, etc… No different than implementing power meter or HR sensor support. The debate has never been settled on whether his success came from his cycling position or his athleticism. 25 years later he goes in the windtunnel to find out. you mention a link to a video of the swiss side unit…. but I can’t see a video or a link to one ? The videos are at the start of each section for each product. Ray, any word from Wahoo on the standard? Did you ask them about their stance on “aero” data? (strange if they have nothing planned sice even Bolt was to bring an aero advantage…). I haven’t touched base with them again recently. I probably will soon though, mostly in relation to Notio and starting to test that. You already have a very aero frame. First thing I would like to see as validation of these devices would be a switch of brakes to TriRig Omegas. Testing has shown these are worth about 7-10 Watts, I’ve found the same. Would be nice to see if the aero pod, or other devices can show this drop in CdA, and with what precision? You’d need to test all the devices before and after, but I think you have room to mount them all on your bike simultaneously. We will ignore the aero losses from multiple Garmins! So, sorry, that bike is just fine. I’m in a bit of a quandary about the use of the term CdA which I understand means Coefficient of Aerodynamic Drag. My elementary understanding is that total aerodynamic drag of an object is the product of multiplying frontal area of the object by CdA. Thus, CdA is related to the shape of an object – the broad side of a wall has a higher CdA than a sphere with the same frontal area for example. Since these companies are “working backward” to calculate CdA, how are they able to calculate CdA without also accurately calculate ing frontal area? Further, a rider’s frontal area is different based upon whether they are sitting up, in the drops, etc. Since frontal area is not constant, these companies need to constantly calculate frontal area in order to calculate CdA. I don’t think they are measuring any data they can use to calculate frontal area. Based upon my understanding, as basically stated above, my theory is that they are calculating total aerodynamic drag and reporting it as CdA. Would anybody who really understands this please set me straight? Next, how do they back frame shape, wheel shape, drivetrain and tire/road surface drag out of their aerodynamic drag calculations? Most of us ride similar wheels, tires and drivetrains that are similarly clean and lubricated all of the time. However, some road, tri, gravel, etc racers (those most likely to use one of these widgets) have clean, lightweight, low rolling resistance tires, lighter, more aero wheels, aero bikes and OSPW drivetrains with specially treated low-friction chains that they use on “race day”. When people use their race bike how do they properly correlate their training body position to “race day” body position using the data from these devices? My guess is that the above described race bike would have measurably less total aero, drivetrain and rolling resistance drag than a training bike. Thus, the rider who strives to match their training drag metrics on race day could be achieving a less aerodynamically efficient position or a less powerful position than in training. So, for this tool to be maximally effective, a racer needs to ride their race bike, perfectly cleaned for a high percentage of their training rides. Do I just not get this stuff? As the name implies (the “A”), CdA includes the frontal area (it’s actually Cd, the dimensionless coefficient of drag times the area A). I can’t tell you exactly how they get it, but they’re making regular measurements and they know the power from a DFPM, so you can actually solve for CdA from the equation that relates power to the various loss mechanisms, the biggest of which is air resistance at normal cycling speeds. You can either measure or estimate everything else. Thank you. I thought the A was for Aerodynamics. So, am I understanding that non-aero drag (rolling resistance, drivetrain friction, etc) can be calculated from other measured data elements and excluded from the CdA measurement? Yeah, and the reason is that the other forces depend in a different way on the speed. Power loss due to wind resistance goes as the speed cubed, while the others are probably linear in the speed (maybe not tire hysteresis, but it won’t be speed cubed), and gravitational gains/losses depend on the incline, so they can all be separated out. You’re making measurements (wind speed, ground speed, incline, and maybe something else I’m forgetting), say, every second, so in a few seconds you have enough data to solve for all of the unknown parameters if you know the power from a DFPM. (Actually they probably measure faster than this and maybe use more equations than they need to solve for the unknowns in a statistical sense with reduced errors.) Some things you have to input before hand, like the mass of you+bike+water bottles+whatever else (which strictly speaking should be done every time, or even measured while you’re riding, but no one does that). I don’t know how well they can actually measure CdA, but in some sense it doesn’t matter, since the purpose of knowing it is to make it smaller. Yup, I meet with them at Interbike next week. 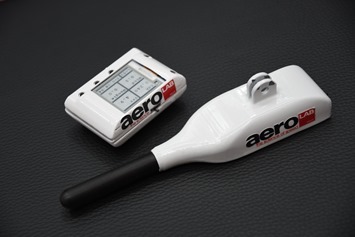 The wind speed field requires an aero sensor, and then the applicable Connect IQ app. But they will display on an Edge 1030 if you have those things. Are there any updates on any of these? I’ve been looking for a CdA meter since testing on the LA velodrome using the Alphamantis system but the hype seems to have settled down across the board. Aeropod has been our for a while. I got mine a couple of months ago. Haven’t use it yet because of the annoying initial calibration rigamarole and the season, but I’ll get it all working in the springtime.